Unst and Yell are two of my favourite places. In the world. Both are blessed with extraordinary coastal scenery, wildlife, heritage, craft outlets, artists, unique botany and generally fine folk; Unst in particular is probably the best single location anywhere to see early monastic Christian missionary and viking archaeology. Better than Orkney? Uh huh. And it is The Northernmost. The Ultimate Isle. Try the Westings, Or Lund or Norwick. It's like Game of Thrones only better. Without the bloodshed. Skye but no pesky mountains. It's got a Cold War Nuclear bunker! Maybe a spaceport in the future. There's a viking longboat and you can climb in! In winter, things slow down in these redoubts of the dark-sky experience. And if you're a connoisseur of storms and winter wildness in a place where daylight can be the merest blink, I recommend an off-season stay. But in summer, with endless daylight and (this year) balmy weather, these islands are simply glorious places to find relaxation and stimulation. Despite Unst's perennial status as a tourist destination, you need to prepare for certain...restrictions. Getting to and from the islands can be tricky. And you need to give Yell a chance, and not rush through it on the main road, thinking 'this looks like a giant peat bog'. 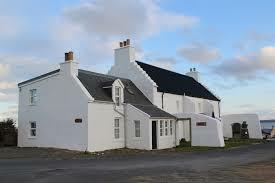 As for Fetlar, I'm aware I haven't mentioned it. That's because I haven't been there in 30 years. I will rectify this in due course. Or maybe not. Anyway let's start with ferries. There is a ferry (big) from Toft on the Shetland Mainland to Ulsta in Yell. There is a ferry (wee) from Gutcher at the top of Yell to Belmont in Unst. The Shetland Islands Council inter-island ferry service appears to be managed with inspiration from an early episode of Thomas the Tank Engine. Really, if you're taking a car and unless you want to queue for ages, with increasing panic if heading out of Unst or Yell that you may be stranded, you should book, and you can do that online. The website is a shambles, recently revised and now worse and much more confusing than previously. It's a 17 mile drive through Yell to the Unst ferry. Allow plenty of time between your ferry bookings. Don't race. There are loose sheep and some local islanders are permitted to drive without ever having passed a test. In cars which don't have MOTs. In fact, take a day (or two) and explore Yell slowly. I'll come back to this. Also, you CANNOT PAY ONLINE. You pay aboard the boat. Worse, no ferry accepts cards, digital payment services or anything but cash and something called 'a cheque', pronounced Czech. I know, it's insane. There may be a reason for it. No idea what it might be. If you have (or haven't) booked, the queuing system is confusing at ALL the ferry piers, the lane markings obscure or erased. And be careful, at Ulsta, the vehicle marshalling area is actively dangerous for pedestrians. Oh, and there is an inexplicable nearly two-hour gap every lunchtime when there is no way into or out of Unst save levitation or swimming. 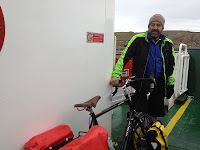 Having said all that, at the moment you pay only once, to get to Yell from the Mainland, with the onward crossing to Unst and Fetlar free. Two people and a car is £19. Ask for a receipt (they're not given automatically, and you have to hand your ticket over on the Unst/Fetlar leg). Unst. Take a packed lunch. In fact, if you're staying in Unst, prepare to cook all your own food if you're coming in a camper van, camping or self catering (for example at the excellent Gardiesfauld hostel or rather great upmarket Belmont House - disclosure; I do PR for Belmont). Hunting, killing and roasting stray sheep is frowned upon. There are excellent places to eat out on the island, but accessing them can be difficult or impossible. PHONE FIRST. On my recent (4 July) trip, the excellent and much anticipated Victoria's Tea Rooms was inexplicably shut at lunchtime 'for a private function.' The advertised cafe at the former RAF Saxa Vord is shut. The bar there was shut at lunchtime. The (highly recommended) restaurant at Saxa Vord was apparently booked every night for the next two weeks, and open only at weekends in winter (bookings only). The Baltasound Hotel, the only one on the island, is either not open to non-residents or the restaurant there is fully booked. Access to it as a resident from autumn onwards is uncertain. 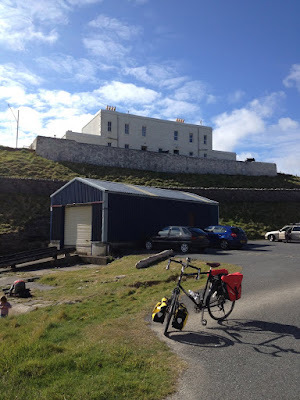 The Final Checkout (garage at Baltasound) was overwhelmed when I was there - good soup and toasties if you can get a seat) and we were saved by Skibhoul Stores' self-service bakery and sit-down make-your-own tea service. Good quiche. But really. On 4 July? On the island recognised as one of Europe's top tourist destinations? Yes, we could have visited the distillery, the brewery, the wonderful Heritage Centre, the stunning Boat Haven, walked to Hermaness, gazed at Edmiston's Chickweed, seen some otters. But come on. I NEED A CUP OF TEA! AND CAKE! I must point out that during the terrific UnstFest later this month, at least one community hall will offer food every night for the assembled celebrants. and there are regular visits from the Lerwick Chinese Takeaway, operating from one of the local halls. There are marvellous, welcoming B and Bs on the island but you'll have to arrange evening meals in advance. Self catering? Not so much of a problem. Don't expect to eat out or plan months in advance. There are three shops, a really fine bakery and a post office; all of them very good and quite distinctive in their own way. The Final Checkout has the best selection of rare malt whiskies in Shetland. But bring particular perishable groceries, craft beers and fine wines with you. Access to fresh fruit and veg can be a problem. Mangos are scarce. As an old friend of mine from Unst told me, "until I was 14, I thought bananas were black." You ain't in Kansas anymore. 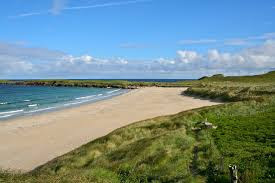 Or Lerwick. Now, Yell. Yell, I have to say, has flowered over the last couple of years like a rose, or a chickweed, or an oyster plant. At least you can get a pizza or a burger or a scone or breakfast OR DINNER in Mid Yell, at the highly recommended LJ's Diner in the old school. There are some of the greatest shops on the planet. A bakery. The Gutcher Cafe and shop has now reopened as Geoffrey's so there is the possibility of coffee or lunch while you wait for the ferry to start running again. You can access bar services at weekends via the Mid Yell Boating Club or various halls (I think). The superb Shetland Gallery at Sellafirth has a Nespresso machine (but you may have to buy something!). And there is the Old Haa at Burravoe. You'll need to check opening times, but the Old Haa is one of the jewels in Shetland's crown. An art gallery with a programme of interesting exhibitions. A craft shop. A fine community museum and a beautiful garden. But crucially, a fantastic tearoom with the best homebakes you can imagine, soup, sandwiches at lunchtime and proper strong Shetland tea. And to get there, you need to take The Mystery Road from either the ferry at Ulsta or Mid Yell. There are other amazing byways in Yell, which open up some extraordinary beaches (notably beyond Cullivoe at the Sands of Breckon), cliffs, and overwhelmingly moving pieces of history, as at Gloup. It's virtually impossible not to have a good time in Yell, in my experience. But remember - there are no public bars, and no hotels. I travel with a sleeping bag, a tent, a Trangia stove, some truffles, a Stinking Bishop cheese and a case of good Claret AT ALL TIMES. And usually a dog. I may add to this post as other things occur to me, or as the flak descends. But I suppose it can all be summed up in one line. Go to Yell and Unst. They're great. Check ahead. Book. Plan. Prepare. Take your own teabags.